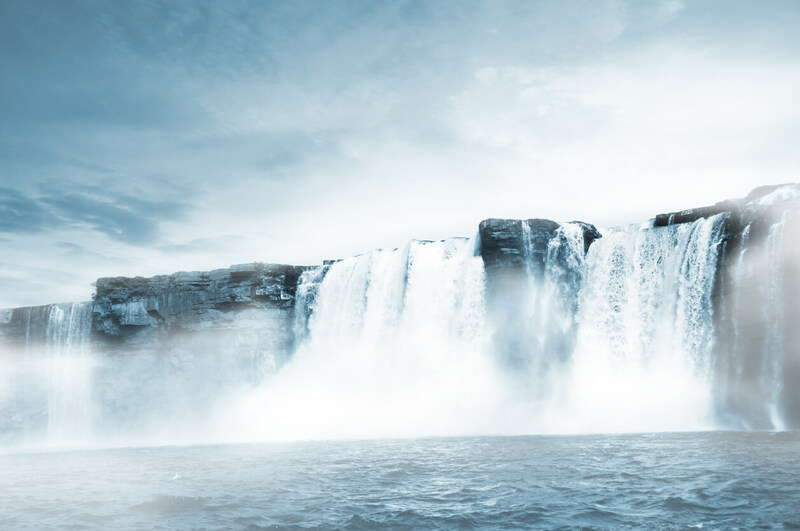 The majestic roaring of waterfalls, with columns of water crashing to earth at great speeds, are often the highlight of any trip. These are among the most breathtaking natural vistas the planet has to offer. The world is full of famous waterfalls you have to see. 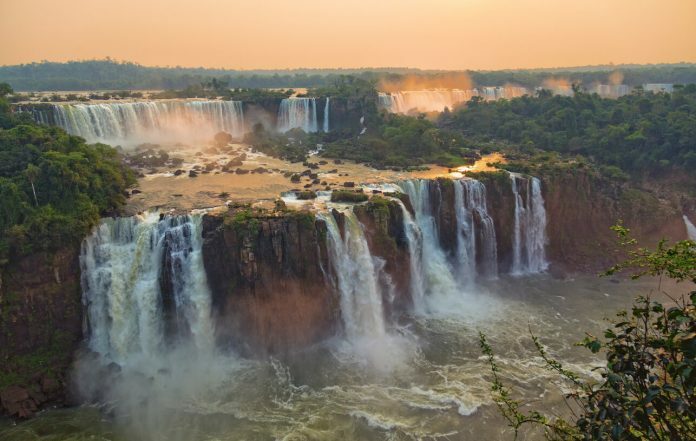 Nearly 300 feet tall and more than 1.5 miles wide, the Iguazu Falls are located between Argentina and Brazil. The Iguazu River which forms the falls creates part of the boundary between the two countries. 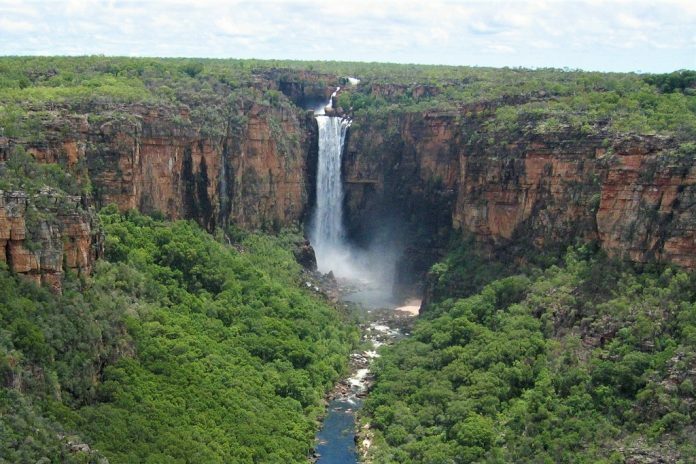 There are over 270 falls in total, the tallest of which is called ‘Devil’s Throat’. Together, they form the largest waterfall system in the world. They were used in Marvel’s Black Panther as Warrior Falls in the fictional African country of Wakanda. The falls, fed by the Hvítá river, cascade over 150 feet into a gaping gorge, and in the summer, the sun shines through the billowing spray, giving it a golden hue. 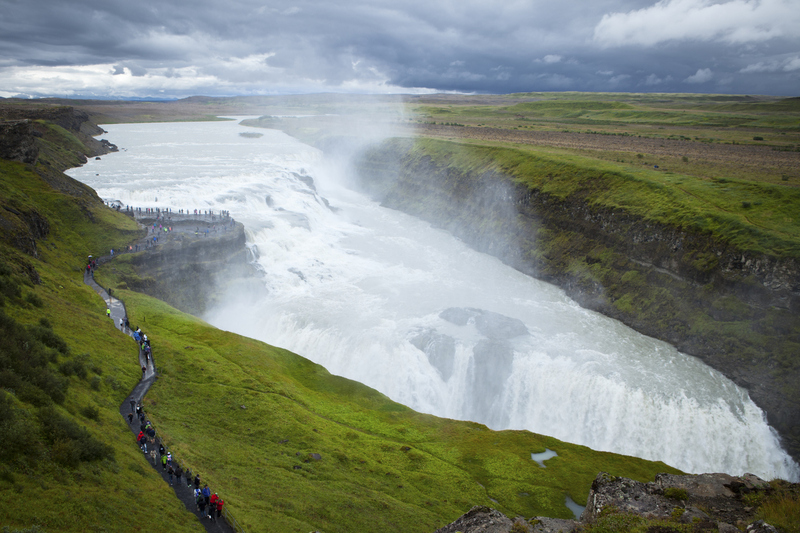 This gives rise to the name Gullfoss (or golden falls). It is also one of the most iconic sights in Iceland, and s part of the “Golden Circle” of tourist sites, which also includes the Þingvellir National Park, and the geothermal area in Haukadalur. Niagra Falls is actually three large waterfalls that straddle the international border between the Canadian province Ontario and the American state of New York. More than 750,000 gallons of water flow through Niagra Falls every second. 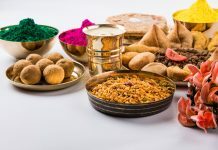 Each season brings something new to this popular attraction. In the summer there are various boat tours and the Clifton Hill SkyWheel. In the winters, if you’re lucky, you might be able to see the falls completely frozen. 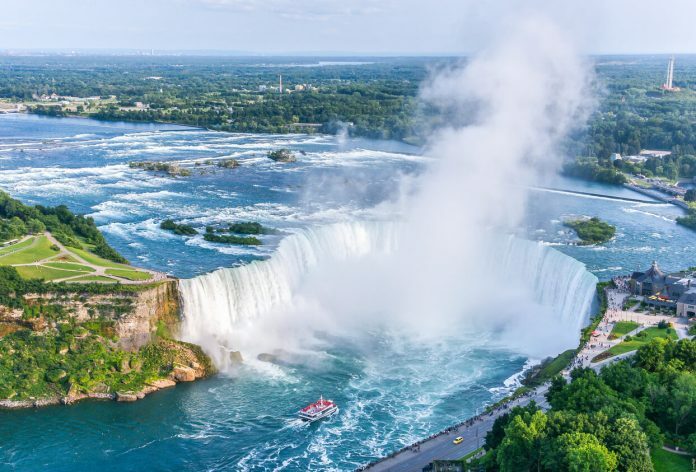 At 350 feet, it is twice the height of North America’s Niagara Falls. Victoria Falls also possesses the world’s largest sheet of falling water. Located in southern Africa, this enormous waterfall is on the border between Zambia and Zimbabwe. 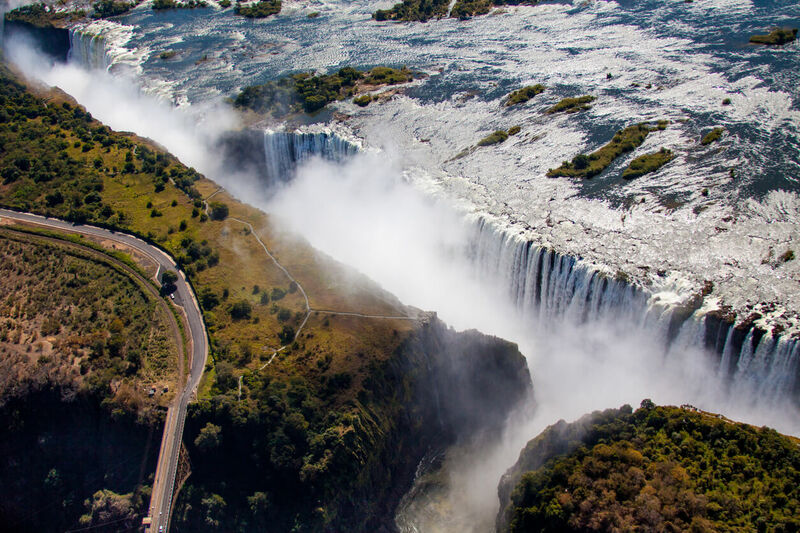 Created by the Zambezi River, Victoria Falls is also one of the seven natural wonders of the world. 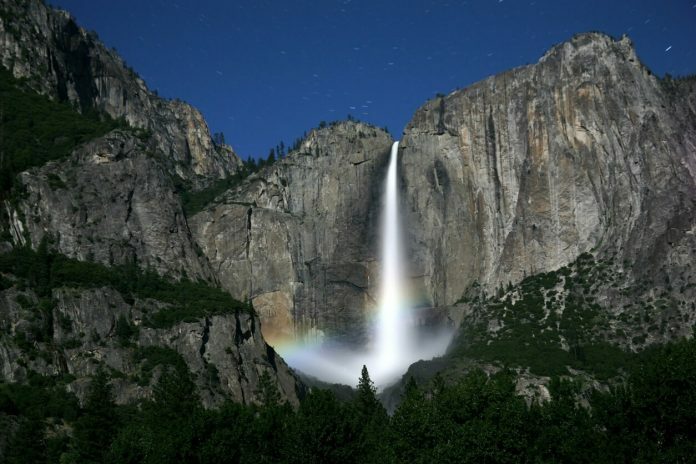 The Yosemite Falls are made up of three separate falls that make a 2,425-foot drop, creating stunning lunar rainbows (called moonbows). Located in California’s Yosemite National Park which is home to five of the world’s highest waterfalls, as well as 300 lakes, meadows and sequoia forests. Plitvice Falls are not just one attraction, but a series The Plitvice Lakes National Park is known for its 16 terraced lakes and interconnected waterfalls. These lakes are divided into the Upper Lakes and the Lower Lakes, both with their own stunning sights. For adventure enthusiasts, it is also the perfect place to go kayaking, canoeing, hiking, and rafting. Tucked away in the northeastern Indian state of Meghalaya is the Nohkalikai Falls. 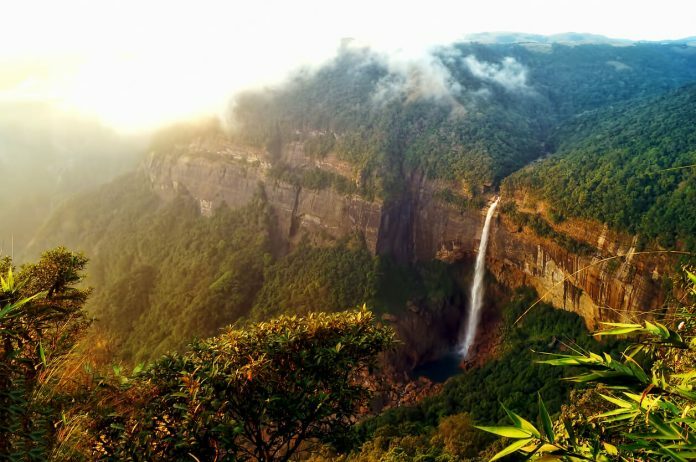 Located in the Cherrapunji Hills (said to be one of the wettest places on earth) they are named after a woman called Likai, who jumped off the edge after she learned that her husband killed her daughter, the pond at the bottom of the 1,115-foot waterfall in Meghalaya turns green in the summer. 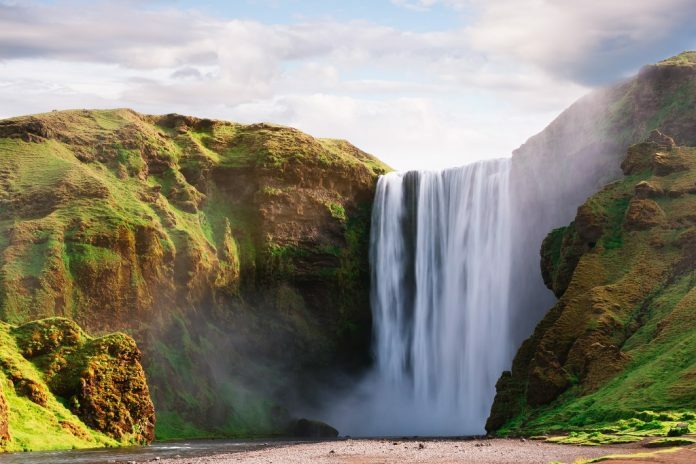 Located in the south of Iceland, Skógafoss is one of the biggest waterfalls in the country. It is situated on the Skogá River and was one part of the cliff-lined coast. When the coast moved seaward, the falls remained. 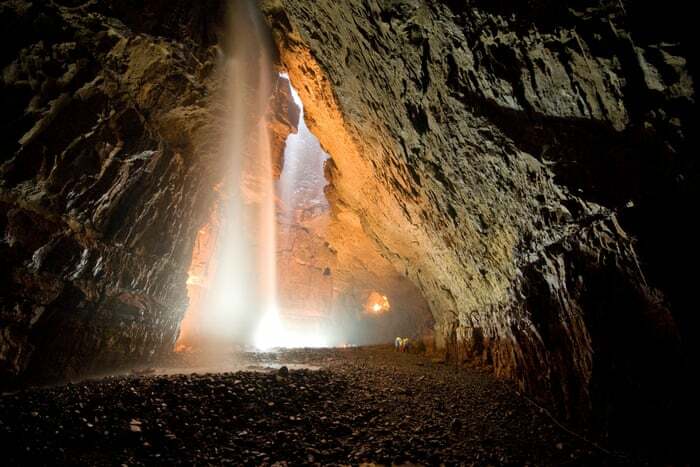 According to legend, the Viking settler Þrasi Þórólfsson buried a treasure in a cave behind the waterfall. At a height of 3,200 feet, Angel Falls in Canaima National Park is the tallest uninterrupted waterfall in the world. It falls from the top of a majestic tabletop mountain and is named after Jimmie Angel, who was the first person to fly over the falls. 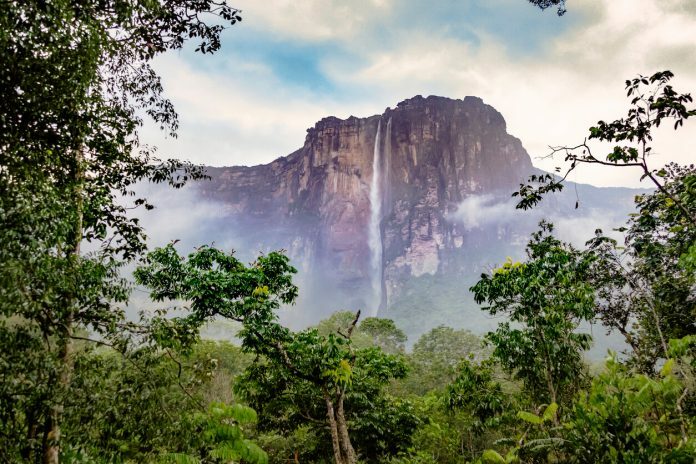 Angel falls also inspired Paradise Falls from the Pixar movie Up. 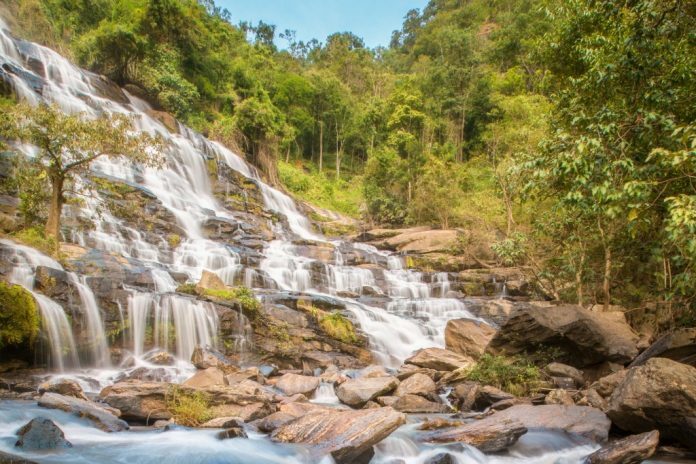 Cascading off a 30-storey cliff, surrounded by a lush green forest, the magnificent triangular Mae Ya falls are among the most beautiful in Thailand. Found in the Doi Inthanon National Park, about 45 kilometres from Chiang Mai. At the foot of the falls, there is also a natural pool where visitors can take a dip. With a drop of over 1,900 feet, the Sutherland Falls is one of the highest in the world. 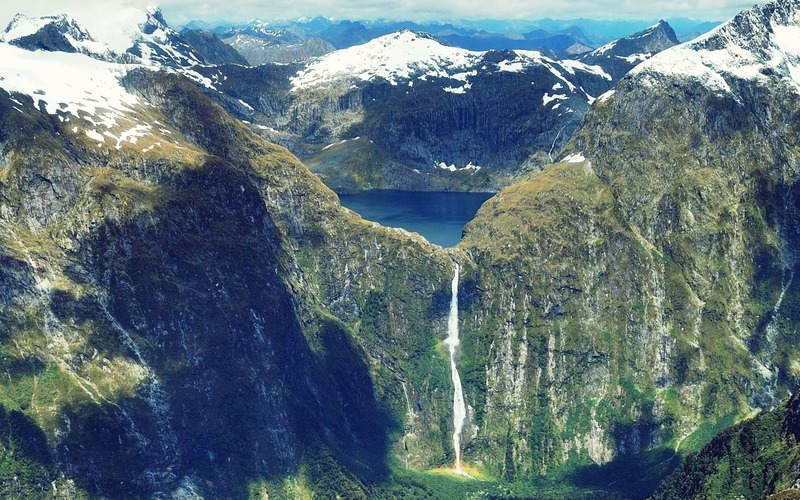 Its water comes from Lake Quill, which is in the remote and beautiful Fiordland National Park on New Zealand’s South Island. Located near the iconic Milford Sound, it was named for Donald Sutherland, the Scottish settler who first discovered the falls in 1880. 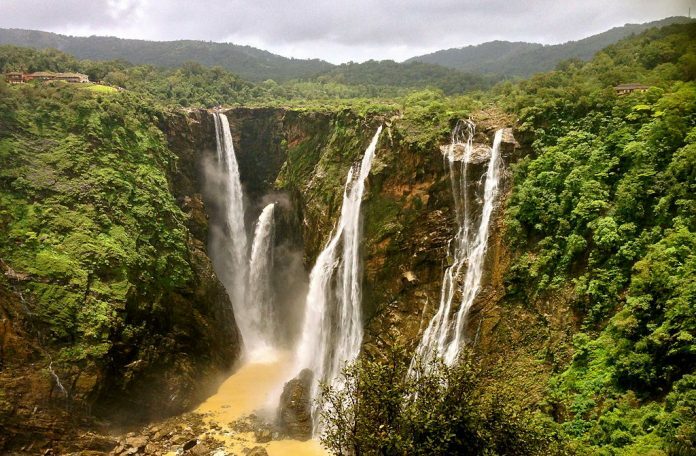 At Jog Falls, four different cascades – named Raja, Rani, Rover, and Rocket – thunder down the rocks from a height of 830 feet. Located in the Shivamogga district of Karnataka, they form one of the tallest waterfalls in India, their once spectacular flow of water have unfortunately been reduced by hydroelectric projects further upstream. Located near the magnificent Kilt Rock on the Isle of Skye (the rock is said to look like a pleated kilt) is the stunning Mealt waterfall. 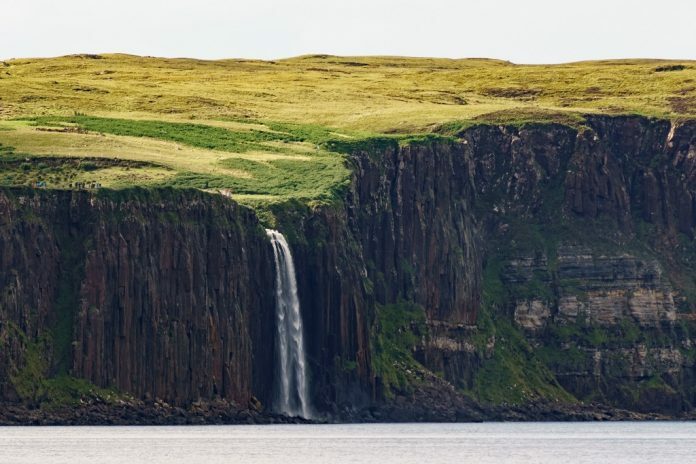 Fed by the nearby Mealt Loch, this waterfall is over 180 feet high, and on windy days the water doesn’t even touch the ground. At the bottom lies the into the Sound of Raasay which connects to the Atlantic Ocean. 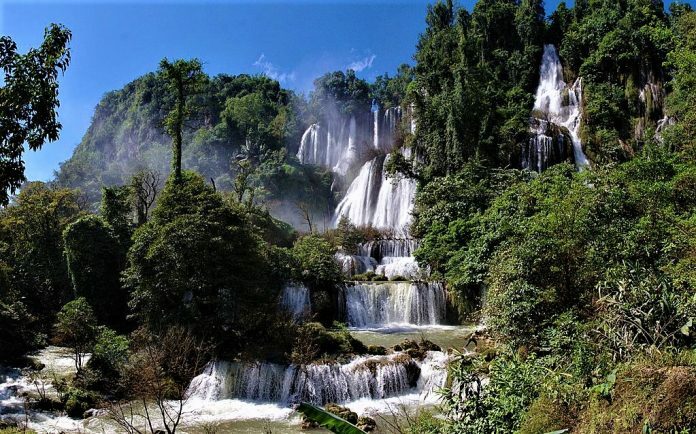 Literally meaning “Yellow Fruit Tree Waterfall,” Huangguoshu is one of the most famous waterfalls in China. 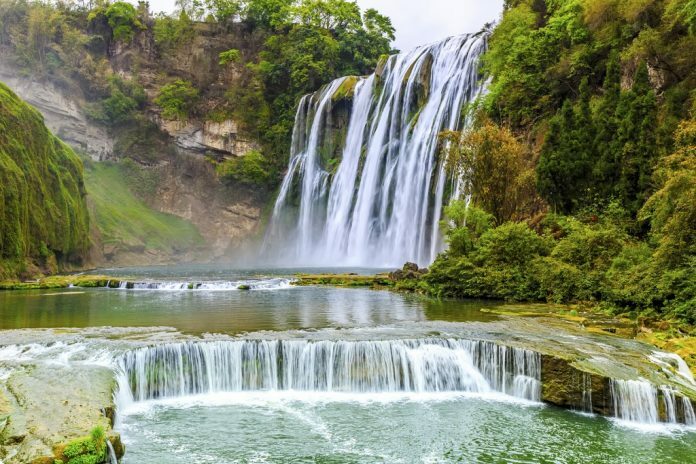 At 255 feet high and 331 feet wide, the impressive Huangguoshu Waterfall is fed by the Baishui River. There are multiple observation points, each with a unique view of the falls. You can also explore the naturally formed Water-Curtain Cave (or Shuiliandong) set behind the waterfall itself. According to legend, it is said to be the abode of Sun Wukong, a character from the Buddhist work, Journey to the West. Also known as the “Black Waterfall” this is widely regarded as the largest waterfall in Thailand. 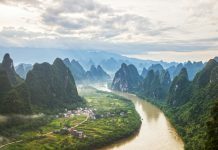 At 820 feet high and 1,480 feet wide, it has multiple tiers gushing down into the Umphang Wildlife Sanctuary. It is created by the Mae Klong River and despite its remote location, is incredibly popular among tourists. 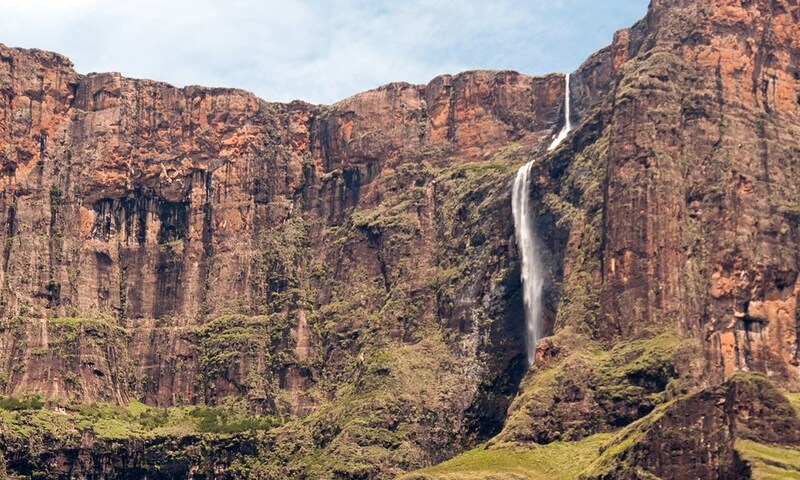 At 3,110 feet, the Tugela Falls are amongst the highest waterfalls in the world. Located in the Drakensberg (Dragon’s Mountains) of Royal Natal National Park, there are actually a series of five cascades that change size with the season. And, in winter, the water turns into breathtaking pillars of ice. 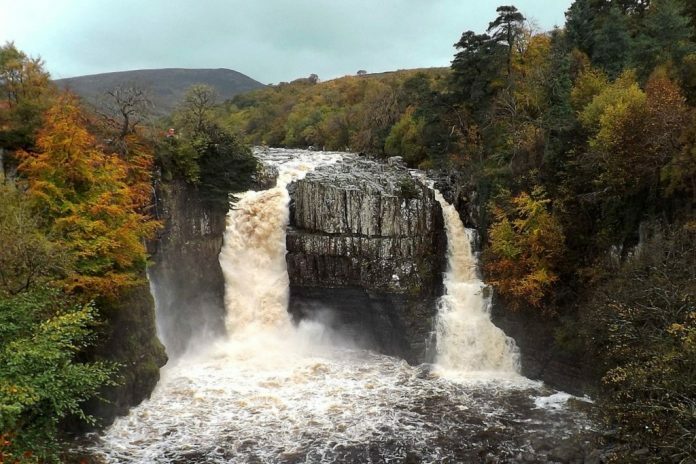 The fast-flowing High Force waterfall in County Durham make it one of the most spectacular and beautiful places in the UK. Here, the River Tees drops 71 feet, over a precipice (called Whin Sill), creating twin falls surrounded by a diverse range of flora and fauna. In the winter, the falls sometimes freeze over, creating stunning ice formations. The word “force” actually comes from the Norse for waterfall, fors which you can also see in the names of waterfalls in Norway and Iceland, such as Gullfoss and Langfoss. Nachi Falls is one of the most famous waterfalls in Japan. Falling over 430 feet, it is also the tallest permanent waterfall in the country (some seasonal waterfall like Hannoki Falls and Shomyo Falls are actually taller). 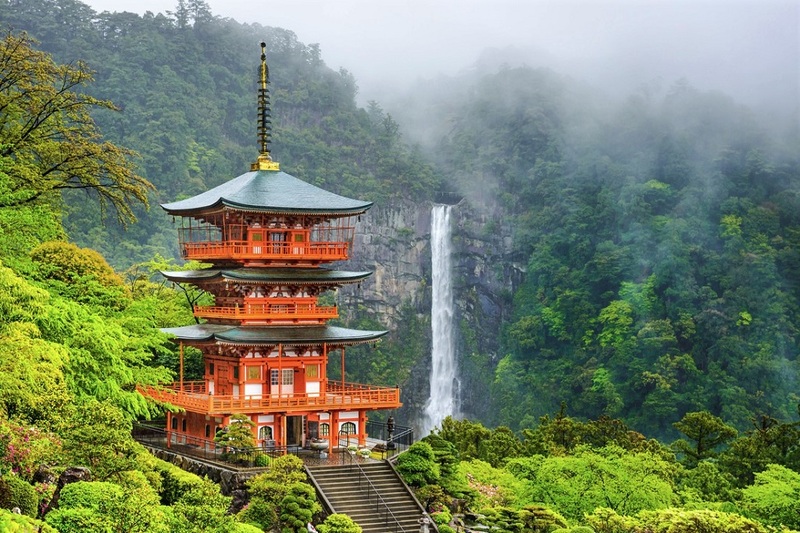 At the top lies a famous Shinto shrine, and the 3-storey Sanjūdō Pagoda which displays many fascinating historical artefacts found at the base of the waterfall. Also near the falls is the Seiganto-ji Buddhist temple. 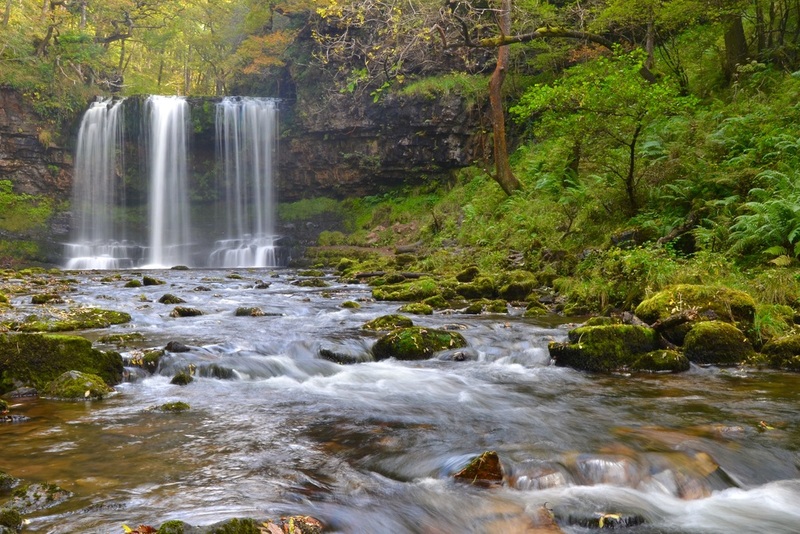 Sgwd Yr Eira is one of four spectacular waterfalls found in Mellte Valley of the Brecon Beacons. Literally meaning “fall of snow,” you can still walk behind the falling sheet of water created by the Hepste River, on a path carved by generations of sheep farmers. The other falls in the region include Sgwd Clun-Gwyn, Sgwd Isaf Clun-Gwyn, and Sgwd y Pannwr, all of which are on the Mellte River. At 741 feet tall and 370 feet wide this amazing waterfall is four times higher than Niagara Falls and twice as high as Victoria Falls. This combination of height and volume of water make it one of the most powerful waterfalls in the world. 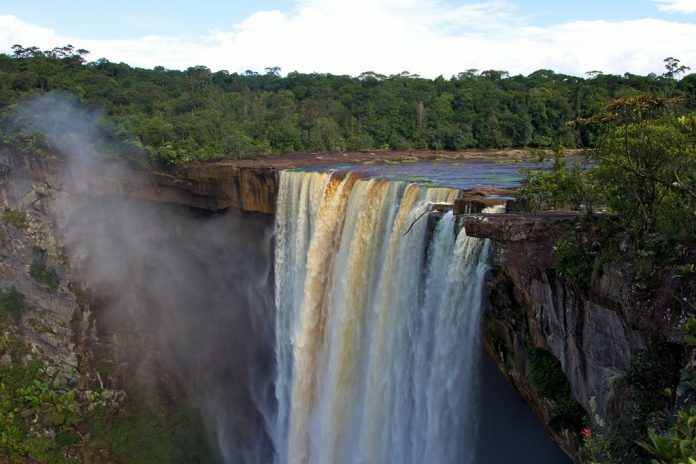 Located on the Potaro River in the Kaieteur National Park, it is also said to be the world’s largest single drop waterfall. Norway is full of amazing waterfalls, but even amongst them, Langfoss stands out. Located in Hordaland county, it thunders down a towering mountain over 2,008 feet before flowing into the Åkrafjord at the base. 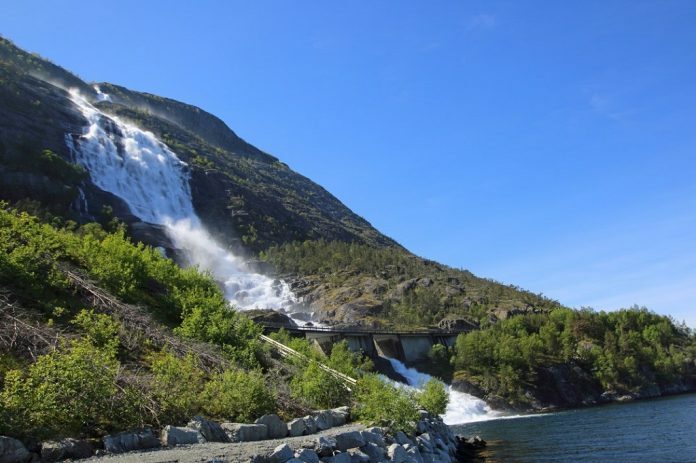 Wild and free, it is one of the few waterfalls in Norway now used to generate hydroelectric power. 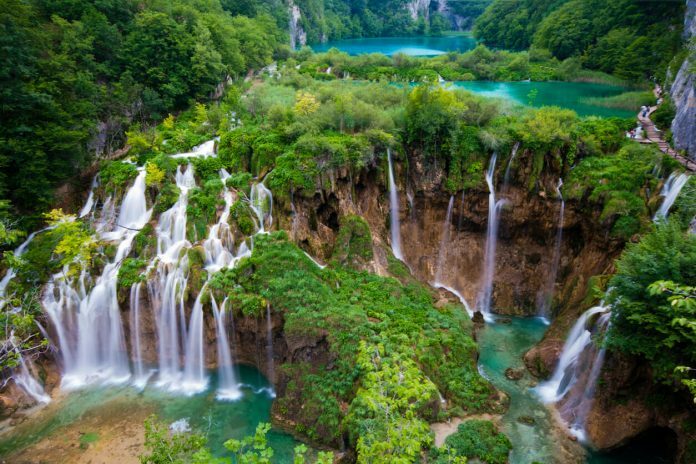 It is also often cited as one of the best waterfalls in the world. Best known for its association with Sherlock Holmes (being the site of his apparent death in the fight with his nemesis Professor Moriarty in “The Final Problem“. 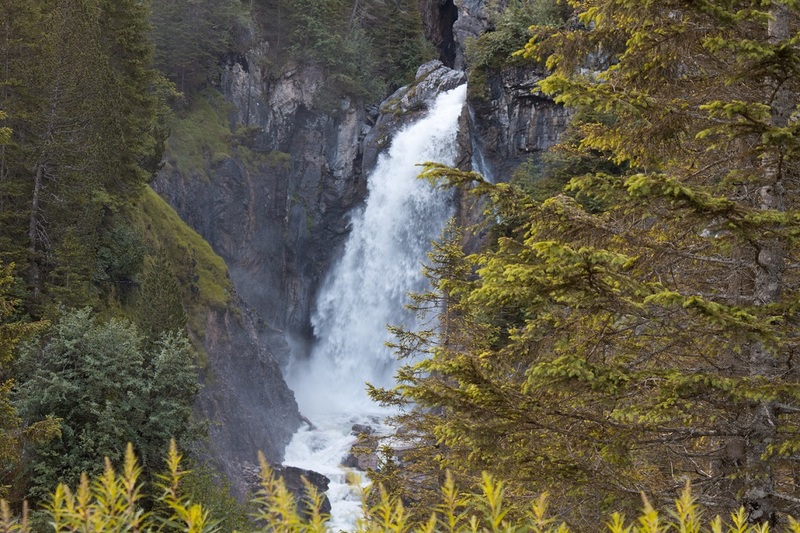 The falls are located in the Bernese Oberland region of Switzerland, on the Rychenbach, a tributary of the Aare River. They fall over 820 feet over multiple tiers into the Haslital Valley. Declared the highest unbroken waterfall in England, these falls have the unique distinction of being completely underground. They are located in the Gaping Gill, a large630-foot deep natural cave in North Yorkshire. The water falls through the many underground chambers before disappearing into the floor and reemerging near Ingleborough Cave. These otherworldly falls can be accessed by a winch that drops down into the darkness of the cave. In Yellowstone National Park, the Yellowstone River leaves the Hayden Valley and creates two major waterfalls. 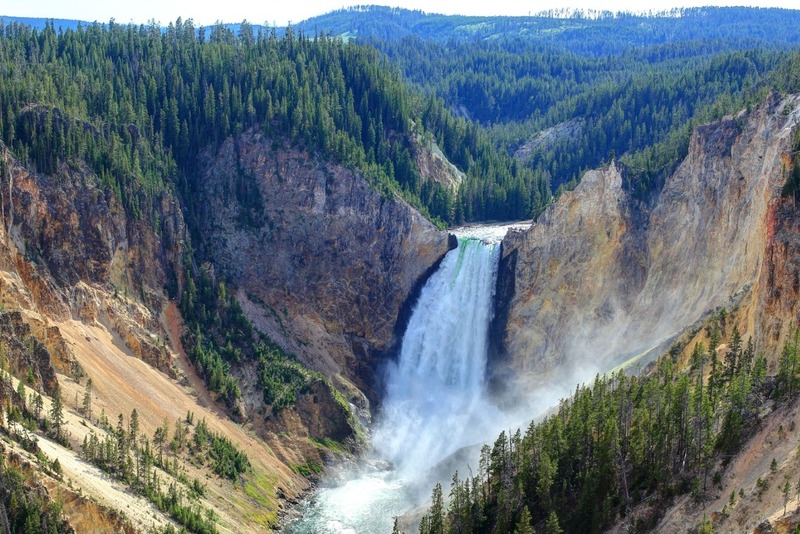 The first is the Upper Yellowstone Falls, which are 109 feet high. Further downstream is the much larger (and more famous) Lower Yellowstone Falls. Around 308 feet high, gallons of water cascade from it into the deep the Grand Canyon of the Yellowstone below. Are there any famous waterfalls that you think should’ve been on this list? If so be sure to share them in the comments below.